Swapping the front and back wheels in one fluid transition is a neat way to finish off a move on the rear wheel, when you may have started or landed on the front wheel. Useful when you need to land on the front wheel first. To get the feel for the wheel-swap, launch a brisk endo and tuck your knees towards the handlebars to absorb some of your momentum. 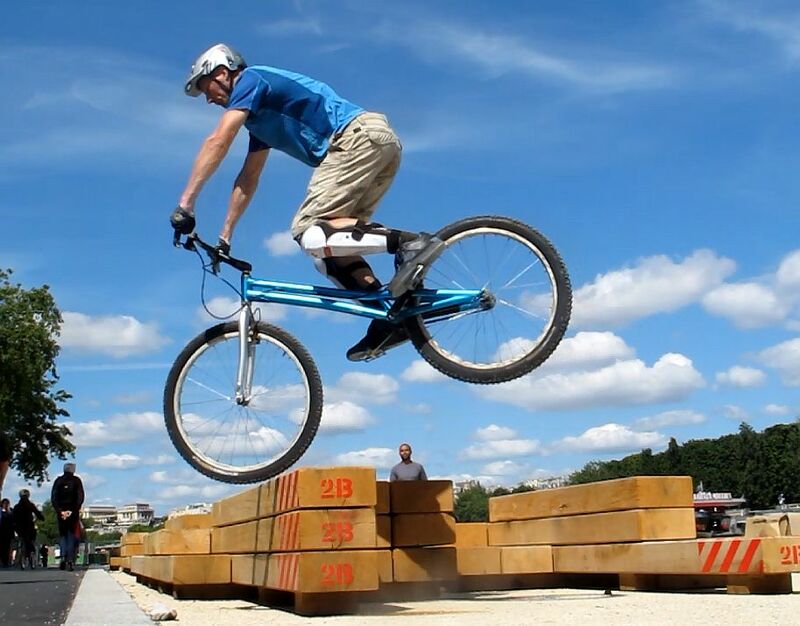 Lean forward and concentrate your weight above the front wheel. 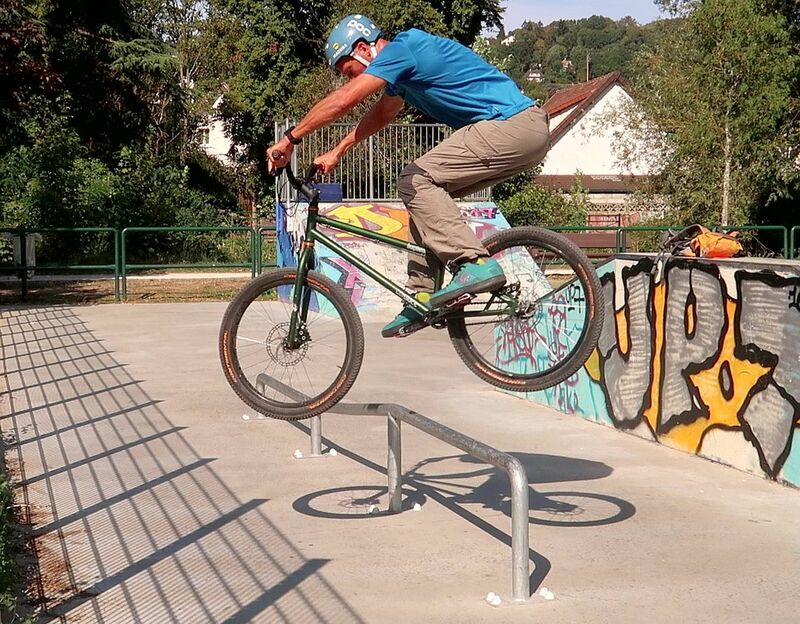 Once you have transferred your centre of gravity over the stem, release the front brake and roll off the front wheel in front of you, with a swift push-up on your arms to release your linear momentum. The bike levels up as you swing it beneath you. Finish-off the move fully stretched and crouching back over the rear wheel, pulling up on the handlebars to maintain the front wheel off the ground after it has rolled. 1° launch a brisk endo, leaning forward to lift the rear wheel up. This will be your starting position to perform a wheel-swap. 2° As you lean forward, tuck your knees and bring your hips towards the handlebars to absorb some of your momentum. 3° Now release the front brake to let the front wheel roll off in front of you, with a swift push-up on your arms to release your momentum. 4° The bike levels up as you swing it beneath you, pull on the handlebars with your arms fully stretched to lift the front wheel up. 5° This only takes a split second, but keep your hips loose and tuck your knees up so as to let the rear wheel shooth beneath you. 6° Finish-off the move fully stretched, crouching back over the rear wheel. You may land on a different spot if you don't go straight. The wheel-swap's scooping motion only takes a split second. The wheel-swap is easier to launch with plenty of momentum, like performing a fast endo that would send you over the bars if you didn't release the front brake. 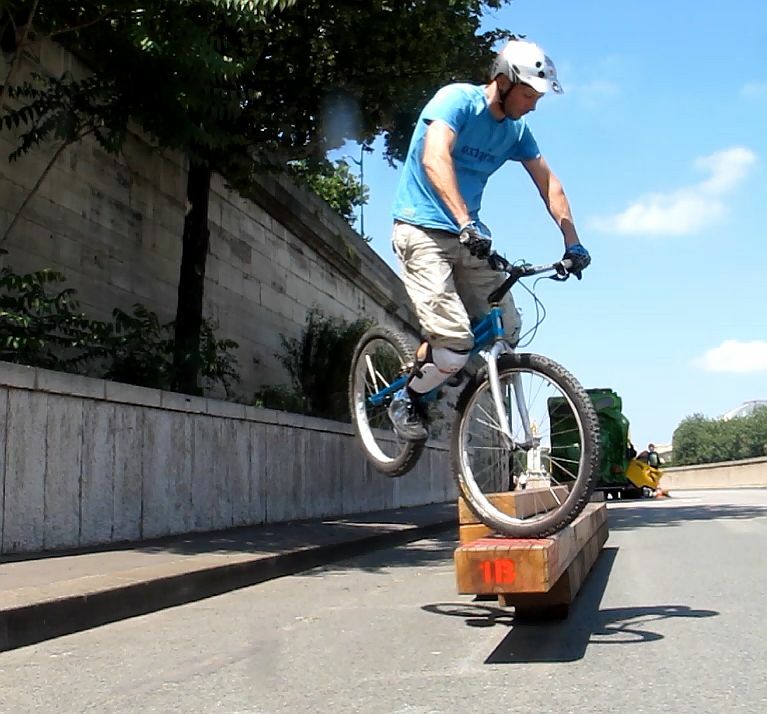 Try this out up a kerb to gain confidence, and build it up on narrower obstacles. 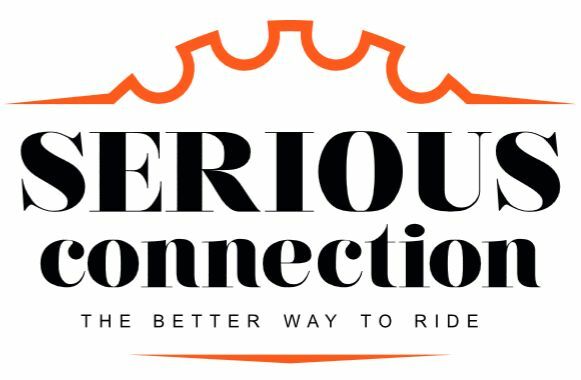 The trick is to shift your weight forward and above the front wheel, knees below the handlebars, and then whip the bike forward by straightening your arms while your hips hover on the same spot. You will end-up fully stretched to land the rear wheel just beneath your bum. On narrow edges, bring the rear wheel nearer its landing spot, sideways. The whole action consists in decomposing your forward momentum into small bits that you reuse in your own time for a nice front-to-back finish. Eventually, once you understand the concept well, you can do wheel-swaps on the spot just by emphasizing body language. 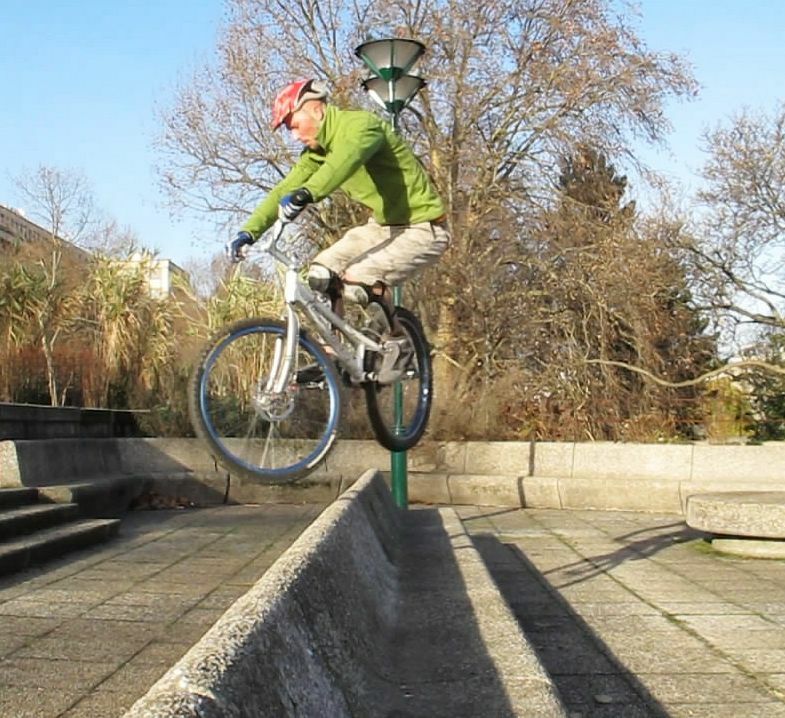 Just as a trick, you could even do a back-to-front wheel transfer following the reverse principle. Mastering the wheel-swap means you could land the front wheel on a precise spot and tilt the bike down before a wheel-swap to rear wheel, getting ready for your next move. Precision swap on top of a railing. This works on narrows edges and railings too, though because you can't roll the front wheel as much as on a flat surface, you need to bring the rear wheel further up before the swap. Technically, you could do a wheelswap on the spot just by emphasizing body movement. Once you understand the concept, you can even do a back to front wheel transfer on the reverse principle. Try it just for fun. Some guys will bounce off rails and narrow edges... Same technique, just bloody difficult.